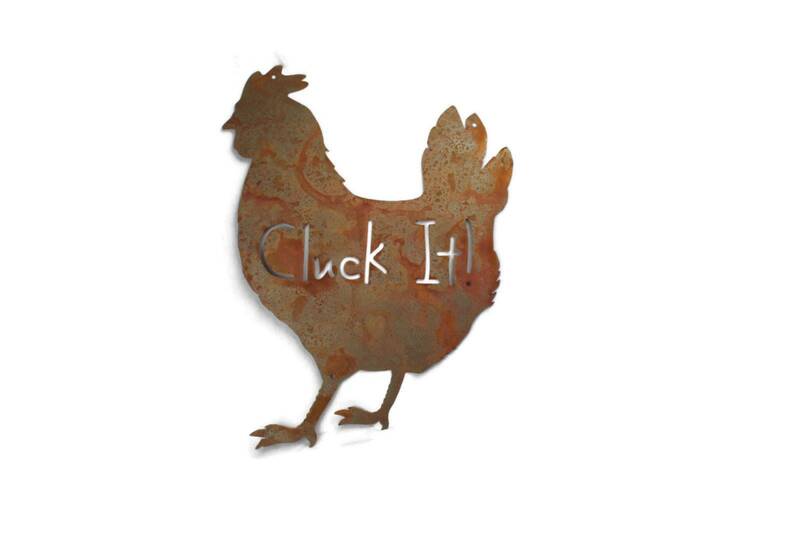 Cluck It! 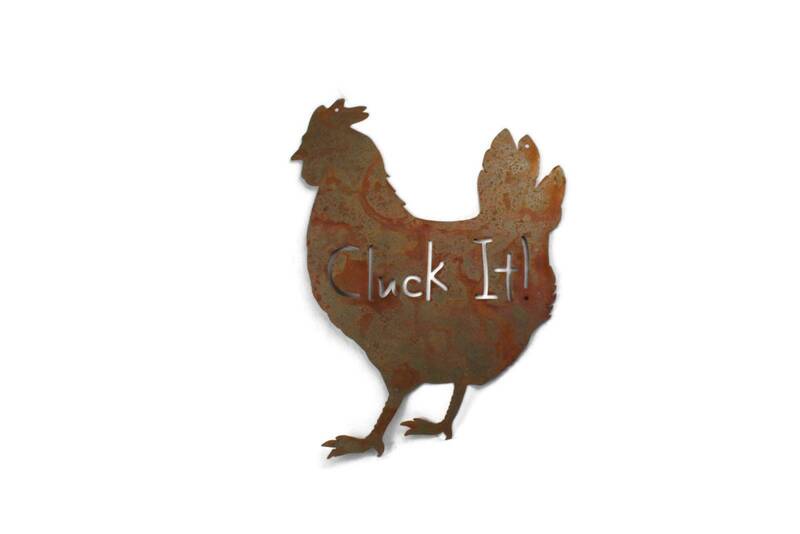 sign is a great gift for any poultry enthusiast! 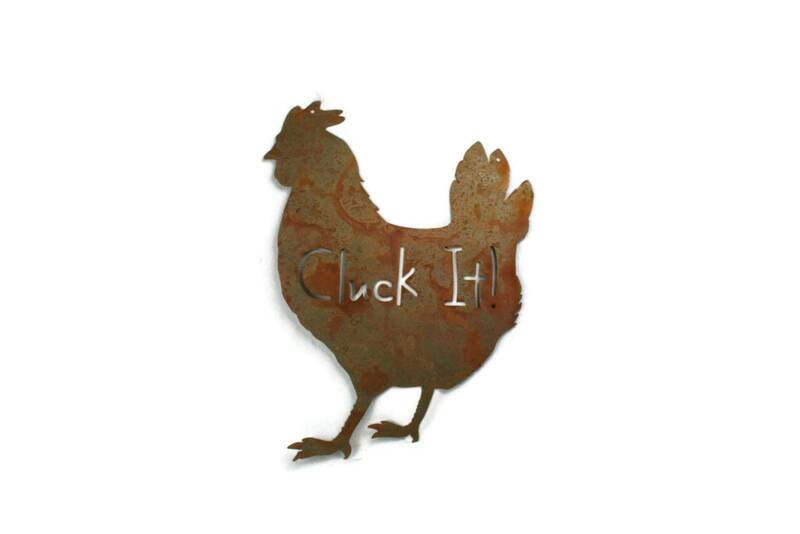 Chicken coop sign includes 3 holes for hanging on the chicken coop, fence or a gate. 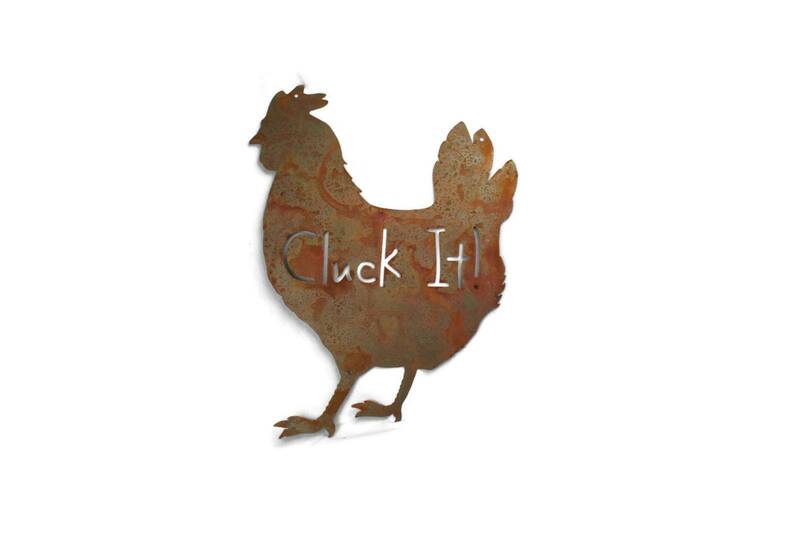 Rusty chicken sign is cut from steel just thinner than a nickel. It's durable and ready to stand guard for your chickens for years. 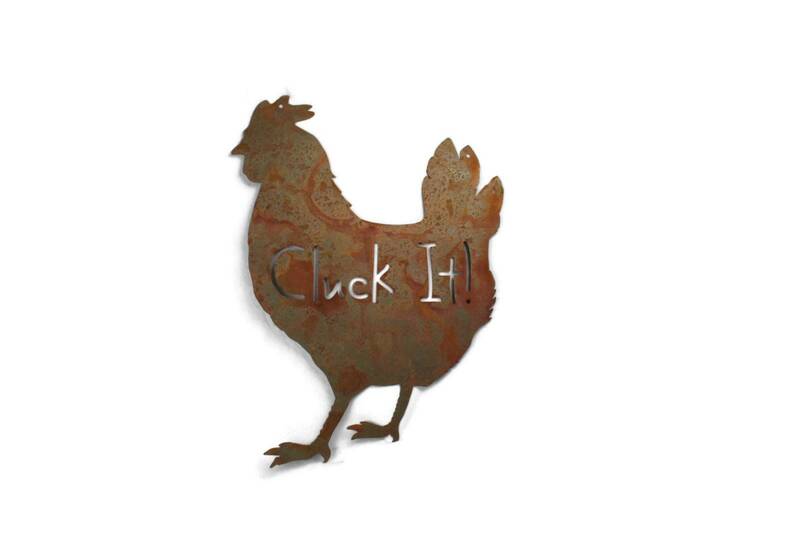 Chicken sign is 22" tall and 16" wide. Perfect fit for a small chicken coop door. Also display on the garden gate or the poultry cage. Small holes in three corners make it easy to install. Simply nail onto the wall or add chain if you wish.